The best deserves the BEST. Show your loved ones, employees or clients that you care with our Premium Olive Oil and Balsamic Vinegar Gift Set. We can even print your company logo to make a special keepsake. Call us at 208-522-7788 to exchange items or customize your basket to create the perfect gift. 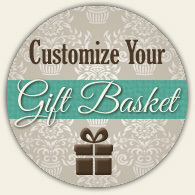 We can create a beautiful and custom gift basket at any price range. If you live in the Idaho Falls area, please select "in-store pickup" at checkout. Not in our town? We can ship a gift basket anywhere in the United States. Karie Anne's Italian Ice & Custard is coming to Love at First Bite!! Why Our Olive Oil is a BIG DEAL!